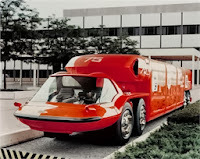 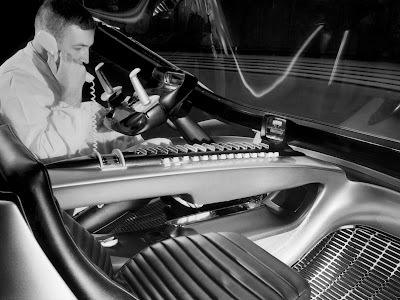 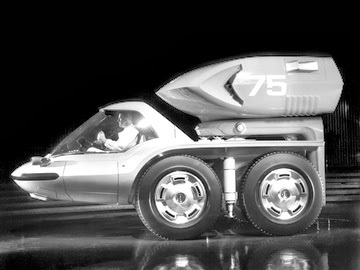 General Motors really were on the money with the future world that this concept truck would drive in. 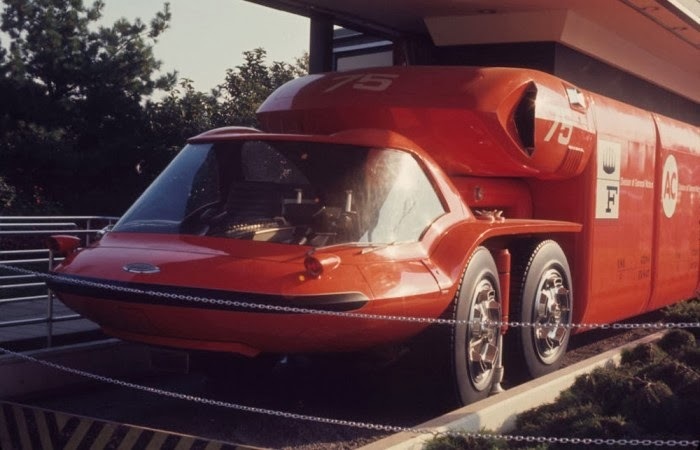 They saw a world of standardised containers that would be automatically loaded, unloaded and stored by electronically controlled equipment to increase efficiency, way back in 1964. 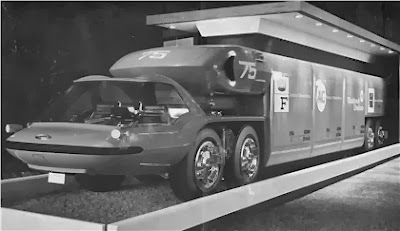 The tractor unit was low slung with its twin gas turbine engines up above the cab, which would be available in 300bhp or 700bhp variants. Oh and that drivers cab tilted forward for access. 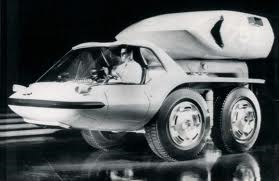 When connected up to its trailer there was a four option steering arrangement, which I think means it had rear steering to help manoeuver in urban environments. To be honest it’s a surprise that this was shown in the states as it seems more suited to European roads.